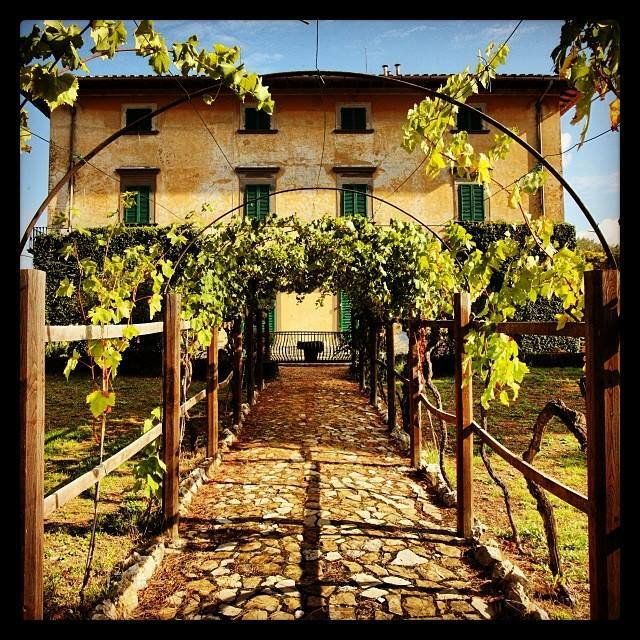 A historical Eighteenth century mansion house lies on the top of a hill overlooking the charming medieval town of San Donato in Poggio, right in the heart of Chianti Classico. 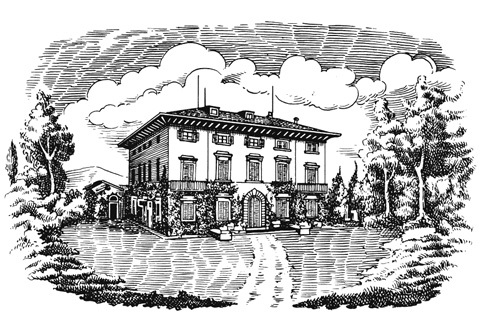 It is the headquarters and centre of activity of the farm and was formerly owned by the Marchesi Torrigiani. The estate also includes a lovingly cared for park, an old tower dating back to 920, built for defensive purposes during the struggle between the Guelphs and the Ghibellines, and an old furnace, dating back to 1700, which still produces highly quality hand-made terracotta. The farm covers an area of 293 hectares, over thirty of which are occupied by specialised vineyards (plans are under way to extend this to 50 hectares), together with 20 hectares of olive groves and 40 hectares of sowable land. The altitude of the land , ranging from 250 to 350 metres above sea level, is perfect for Chianti Classico, as is the marl (galestro) and calcareous (albarese) soil and the south-eastern/south-western exposure. The olive trees grove on calcareous soil which enhances the elegance and refinement of the oil. Our olives are exclusively processed in our renovated historical oil mill, featuring granite grindstones, a cold-pressing system with mechanical vertical presses and a slow-turning separator. The oil is kept in traditional 300 or 500 kilo earthenware jars, made on the farm, and stored in a cellar at a constant temperature of 10-14℃. Mr. Nuti Ivo, the former owner, purchased the property in the Sixties with the aim of enhancing the peace and beauty of the estate, renewing the agricultural activities and hunting in the surrounding game-rich woodland. From 1995 an intensive investment program has increased the quality of the estate produce to a very high level. The program has included re-stocking the vineyards with new low-productivity plants featuring a high density of vines for hectare, the careful arrangement of the rows of vines in order to maximize the exposure to sunlight and a production limit of no more than one kilogram of grapes per vine. The finest Sangiovese plants lie at the basis of the selection of vines, but international qualities such as Cabernet Sauvignon, Merlot and Syrah, have also been planted. The vines are grown cordon-trained and spur-pruned and the number of shoots for vine varies from 5 to 10. To improve the ripening process and rebalance the production of the vines, the branches are thinned out towards the end of July. 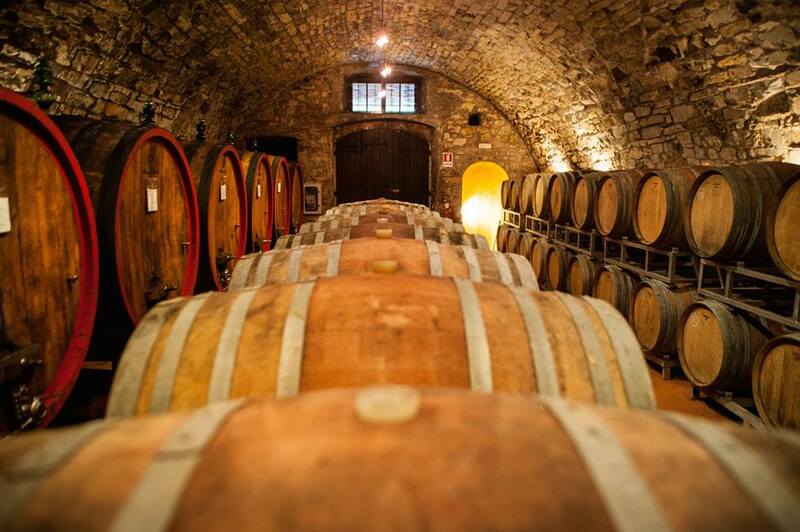 The wine cellar has been renovated and new French oak barrels and 900 litre casks have been introduces. The attention and care that Montecchio has always given to cultivating methods have been rewarded both by contributions from the European Community, obtained thanks to the low environmental impact of the cultivation, and by international enological awards, such as the Gold Medal for Chianti wine given by the Beverage Testing Institute of Chicago in appreciation of the 1994 Montecchio Chianti Classico. Step into the 21st Century, Mr. Nuti Ivo’s sons take over Montecchio. It isn’t just improve the facilities of making good quality of wines, but also keep opening the sight to the world wide market. Hope to serve the best Italian wines to different countries. Share with different people of the taste of Chianti, the true taste of typical Toscana and Italy! !